First off, just in case you've been living under a rock for the past couple of weeks, The Wire has arrived! I probably should have posted about it here in the notice board section earlier, but what with the amount of visitors to the Discord and Forums lately, I figure most of you are probably already aware that it has been released by now... ANYWAY~ If you haven't already, you can catch The Wire right now via the above embed (or, for the connoisseurs among you, you can grab a copy of the 7GB raw video file here); big, big thanks once again to Aaron Augenblick and everyone at Augenblick Studios for making this happen! Next up, we have two collaborator videos, one from LSuperSonicQ on the aforementioned The Wire (a great way to catch up if you're not familiar with how the search unfolded) and one from blameitonjorge on Ratafak Plachta. Thanks for another solid set of videos, guys (and sorry for not posting them here earlier)! The Nicktoons Network Film Festival DVD (including the Kappa Mikey Nicktoons pilot) has been uploaded to archive.org by TeamNotCrash; thanks to all involved for providing an uncompressed copy! Aaand finally, as you may have guessed from the title, we have another "stuff we missed" update for you guys (including the recently unearthed 1996 Aeon Flux PlayStation prototype) - but instead of posting a long list here on the homepage, I thought it'd make more sense to create a forum post on it and then link that post here, so that is exactly what I have done and you can read about all the stuff we missed over the past few months right here. Thanks to Ryanskip for keeping track of the found media listed! If you've been perusing the LMW Forums and/or Discord lately, you will no doubt be familiar with the "Plugman" search that kicked off some weeks ago. The 1996 short, which has since been identified as The Wire (as shown in said year on Cartoon Network as a part of ToonHeads' "A Night of Independent Animation") has been recovered via VHS by creator Aaron Augenblick's Augenblick Studios, who have pledged to rip and upload the short! Big thanks to Aaron Augenblick and everybody at Augenblick Studios for helping us unearth this highly sought after animation! It's always such a pleasant surprise when studios/companies themselves come forward with lost media, it's really quite inspiring to know that our efforts are having a wide enough reach so as to come to the attention of creators themselves. Thanks again, all! 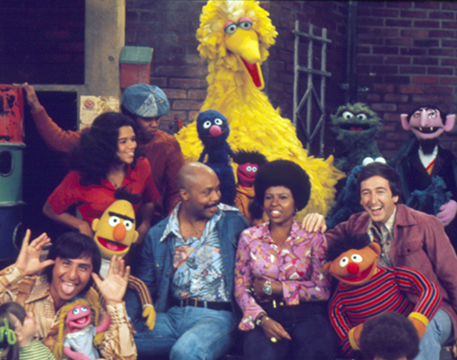 Big story number two (you're gunna wanna pay attention to this one if you're a fan of Sesame Street) - The American Archive of Public Broadcasting are currently undergoing an effort to archive nearly 4500 episodes, from the first 49 seasons (as donated by Sesame Workshop) and will be making them available for public viewing on location! The big question on everybody's lips now is whether or not this archive will include the infamous "Wicked Witch of the West" episode, or perhaps even the unaired "Snuffy's Parents Get a Divorce" one; while all we can really do is hope at this point, regardless of whether or not either of these episodes are included, this is undeniably a noble effort on the part of both the AAPB and Sesame Workshop and one to be highly commended. That's all for today, keep an eye on the Forums, Discord, social media and such (and of course here on the notice board) for the inevitable release of The Wire, I know many of you are anticipating it with a lot of excitement :) Ciao! blameitonjorge: "The Search For Clockman"
Bobb'e Says: "Tony Hawk's Warehouse"
Two big finds in the unreleased game department – the arcade game SEGASonic Bros. has been found and released by The Guru and NeoHazard, and the long-lost NES port of SimCity has finally been released by Frank Cifaldi. Thanks to all of them! Next, a handful of one-off episode finds: the “Halloween” episode of Out of the Box has been found by Agent Owl, the first episode of Bobb’e Says was uploaded by YouTube user CN REAL, and the Hammerman episode “Dropping Out” was uploaded by YouTube user Peter Lavalle after he was contacted by YoshiKiller2S. Once again, thanks to everyone involved! The unaired pilot for a Lego Island TV series has been released by Lorin Tone, who worked on the music it. This was uploaded in September but went unnoticed until recently. Thanks for sharing your old work! Another Dingo Pictures film has been found: Lustige Weihnachten, which may or may not be the same thing as Fröhliche Weihnachten. Thank you to Filme & Hörspiele! Two of the VeggieTales Radio Discs have been found: "Christmas 1999", found by Teddykledbold, and "Lyle the Kindly Viking", found by 9babyeinstein. The script for an unproduced episode of The Blues Brothers: The Animated Series, “Mama’s Day”, has been found by LMW user beyonder123. They won it in an eBay auction and painstakingly scanned in all 42 pages, so thank you very much! Six more episodes of The Dog and Cat News have been uploaded by YouTuber By the Salt – thank you! Mission in Snowdriftland has been located in a hidden directory on developer Extra Toxic’s website, and can be played here. All 9 episodes of G4's Proving Ground have been found by LMW user Dannyboytbh. Thanks for recovering this series! A full unedited print of A Charlie Brown Christmas, including all the original sponsor tags and other differences, was uploaded by user Ramday. Thank you for the Christmas gift! Proving that he’s on a roll, Teddykledbold has received a copy of the independent horror film In the Mind of the Damned and put it on Google Drive. Thanks once again! 10 minutes of footage from one of the earliest Nickelodeon series, By The Way, has been found by tvguy1979. Prior to this, there was no footage at all and almost no information, so thanks for giving us a glimpse into what the show was like! Finally, Future Thoughts Productions has begun releasing lost episodes of Crime Time to their YouTube Channel. They’ve uploaded 3 so far since the end of December, which can be seen here.